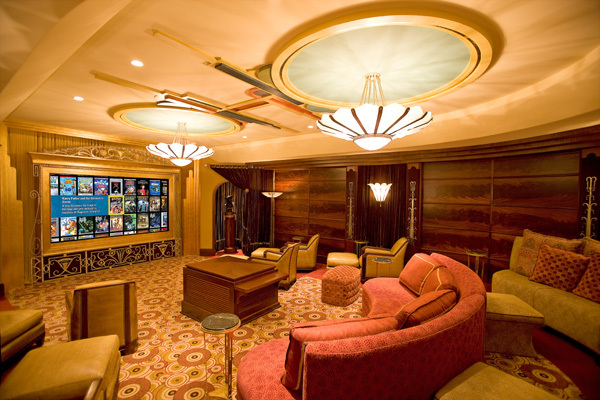 Award-winning Chicago Interior Designer John Cannon designed a home theater and entertainment zone with hints of an antique Parisian bar decorated with Art-Deco details. 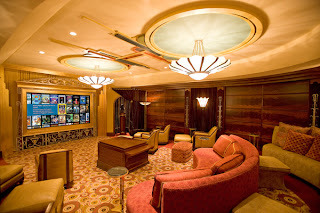 Incorporated in the 'zone' was a breathtaking home cinema with Paradigm & Anthem flagship installation by George Georgiou of Cinetec Audio Video Design Centers in Palos Hills, IL. "Paradigm has, at every price point, a speaker that competes with the best of the best in the world... so when I'm deciding which speaker we're going to use in a particular room, I look at the capabilities of each speaker in [Paradigm's] catalog and decide what's going to eb best for the project depending on a budget. 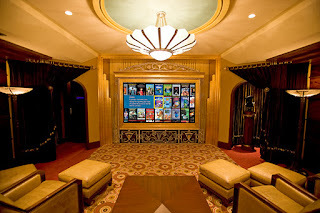 With this room, we needed world-class performance, and so we went with S8. I don't know that there's a better speaker for the money." At the front of the room Georgiou used a pair of S8's and a C5 center channel. However, at the rear of the room, Georgiou wanted to match the S8 & C5 sonically but he couldn't use traditional in-walls in the curved wall. "As good as the guys at Paradigm are, they don't make curved back boxes," he says. But Georgiou found the perfect solution using four Signature W5 speakers, a thing on-wall speaker. 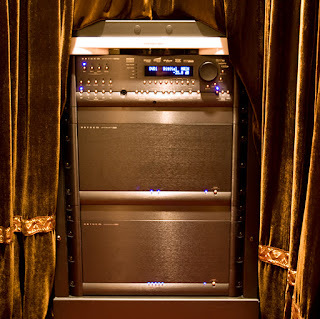 Also incorporated in the theater is Anthem Statement electronics including the award-winning D2v audio/video processor as well as P2 & P5 amplifiers. The curved rear wall also posed some serious acoustical challenges but Georgiou used ARC Anthem room correction kit included with the D2v to tame the sound field. 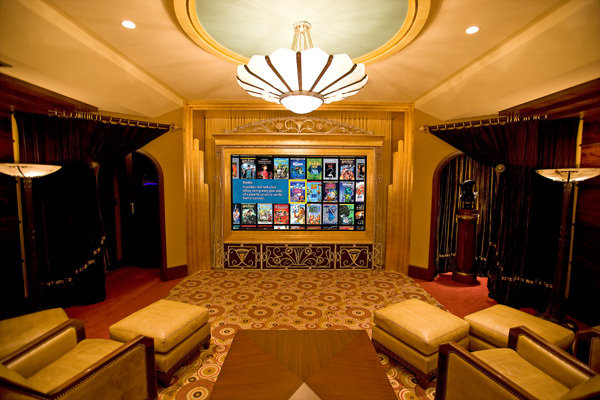 To see the full installation and read more on this theater in Home Entertainment magazine, click here!